There was a time when sewing clothing was carried out with rudimentary tools such as thimbles and needles made of animal bone or wood. But times have changed over the years, so much so that modern sewing equipment is now a given. Thanks to technology, sewing has transformed from being a laborious and manual task to an efficient process, which makes use of digital machines that allow for quick and easy manipulation of fabric and thread to create intricate works of art. Check Out The Top 10 Best Overlockers Now! Selection of sewing equipment is becoming increasingly daunting. Much of the confusion beginners have over which machine to buy stems from the fact that there are all sorts of specialized sewing machines on the market these days. And one of the most common units that every sewing crafter will come across is the overlocker. So, what’s an overlocker used for and how does it differ from a regular sewing machine? 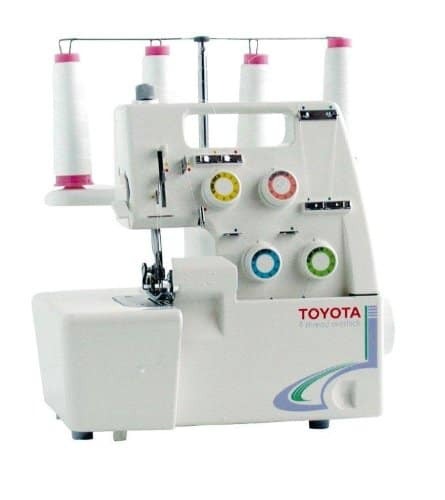 An overlocker, also called a serger, is not the same as an ordinary sewing machine. It’s used to create an overlock stitch over the edge of one or more pieces of cloth. The overlock stitch is often seen on hems, seams, and decorative edges. 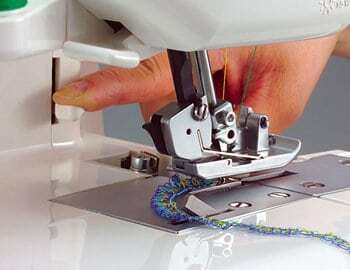 An overlock sewing machine is unique in that it uses a knife or blade to cut off excess seam allowance and then wraps multiple threads (which can be 2, 3, 4, or 5) over the raw edge of fabric to create a clean edge that won’t fray. Think of it as a finishing tool that leaves your garment projects with a neat, professional-looking finish. Overlockers were originally used only in industrial sewing settings. However, technology has made it possible to create lighter and smaller machines that can be used at home and produce the same stitch quality as their industrial counterparts. A domestic serger can run at speeds of up to 1,600 stitches per minute. This is much faster than most regular sewing machines, which average about 800 stitches per minute. The stitches you can create with this machine can be used for a wide range of purposes such as garment construction, seam reinforcement or decorative works. Let’s have a look at what kind of stitches an overlock sewing machine can create and what you can do with them. A 2-thread overlock formation can be found on almost all sergers. This formation is typically used for seaming and edging task on knits or woven fabrics. You can use a 2-thread overlock to stitch elastic and lace to lingerie, sew flatlock seams, or finish seamed edges. The 3-thread overlock combines an upper looper and lower looper with one needle to create stitches that are more spread over the edge of fabric than the 2-thread formation. It is best for adding that decorative touch to the edges of woven and knit fabrics. You can use a 3-thread overlock to sew pintucks, narrow rolled hems or decorative edges on a tablecloth or set of linen napkins. The 4-thread overlock is sometimes referred to as the “mock-safety”. It has much of the same strength as a seam made with a safety stitch, but it’s not as strong since some flexibility is retained in the thread. This stitch pattern is formed much like the 3-thread overlock, except that two needles are used instead of one. In addition to reinforcing high stress areas, the 4-thread overlock can be used for decorative edging. Found mostly on high-end sergers, the 5-thread overlock creates a much stronger seam for reinforcing heavy weight fabrics. On one side, the pattern looks like a chain stitch and a 3-thread overlock on the other. This is because it’s actually a combination of these two overlock formations. When creating decorative stitches, overlockers usually allow you to disengaging the knife. 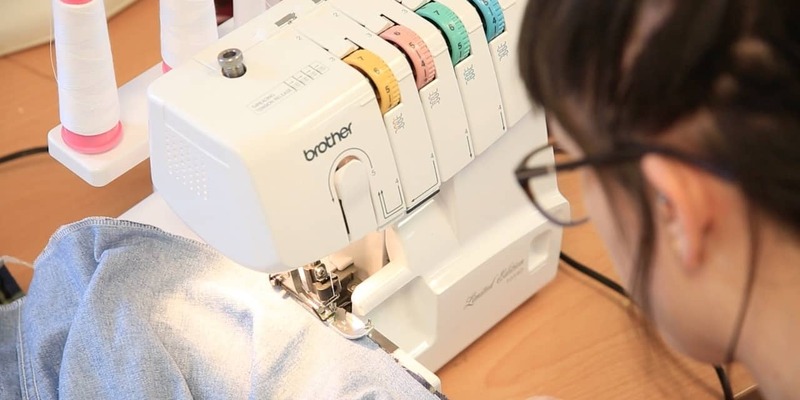 Most 3-thread overlockers have a rolled hemming capability, which makes it possible to roll the fabric edge into the stitch for added durability. Another notable function that these machines come with is the ability to adjust stitch length and width. Some machines also have a function known as differential feed, which lets you manipulate how fast or slow to move fabric through the needle plate. When using fast differential feed settings, you can create a ruffled edge or what is better known as the “lettuce effect” on certain types of fabric. 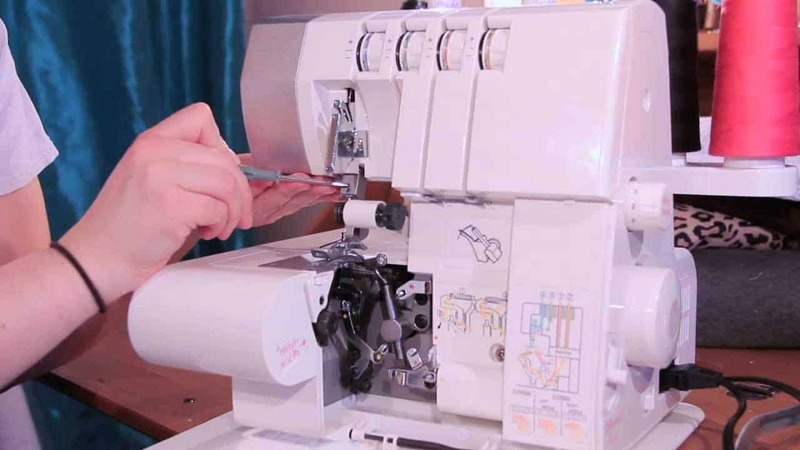 Although the terms serger and overlocker are often used interchangeably, the former type of sewing machine usually has a few unique features. To begin with, sergers always have built-in cutters, while overlock sewing machines can lack this component. 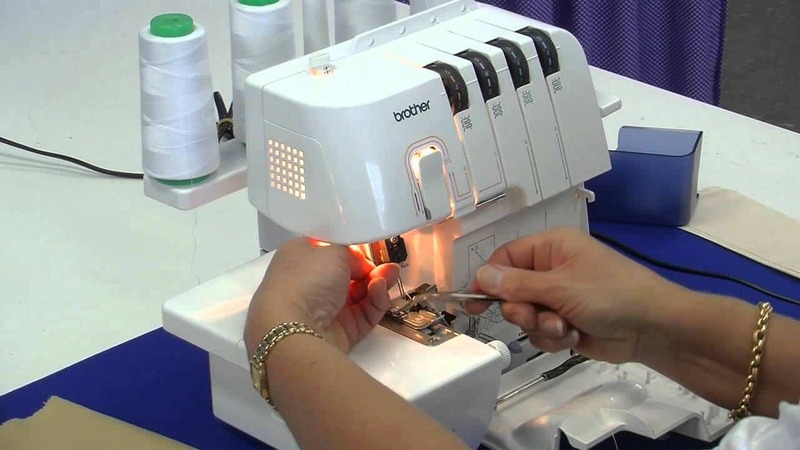 Additionally, sergers can create other stitches besides the traditional overlock. For instance, flatlock stitching is a common function found on a serger, which comes in handy when you want fabric pieces to lie flat. Sergers can create a chain stitch with one looper and one needle as well as the cover stitch, which loops on the underside of fabric but looks like two or three parallel lines on the top side. Both of these stitch patterns can be used to adorn fabric with decorative thread. 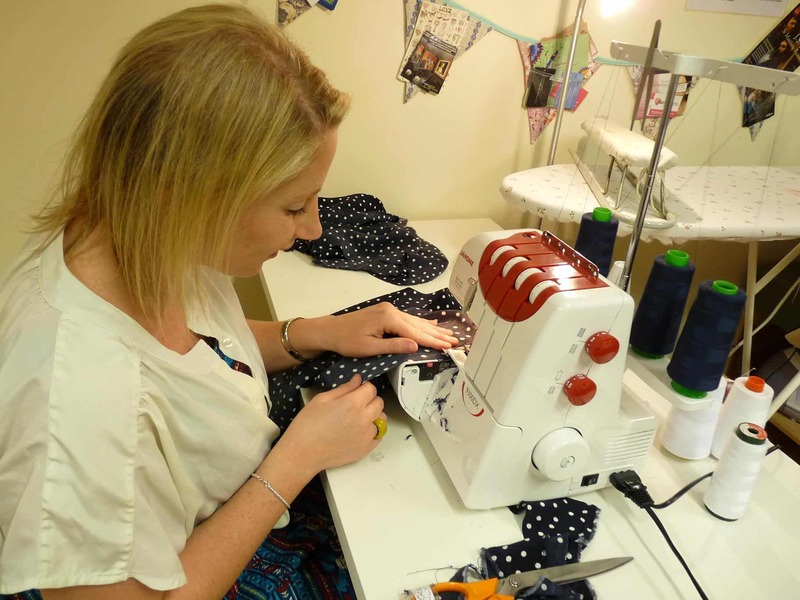 Can An Overlocker Replace My Ordinary Sewing Machine? It’s important to point out that a serger should be used alongside a regular sewing machine and not in place of one. You’ll need a regular sewing machine for inserting zippers, creating buttonholes, topstitching, quilting, zigzagging among other tasks that an overlocker simply cannot do. Unless you only intend to practice the most basic stitching, you’ll need both a serger and normal sewing machine. This is highly recommended especially for sewing enthusiasts who plan to do a lot of hemming and seaming. Are Jet Air Threading Overlockers Worth The Money? Should You Buy a Secondhand Overlocker?